In the week or so that has followed Kenny Dalglish's sacking, suggested managerial targets had been highlighted by a variety of sources. As names such as Klopp, Villas Boas and Guardiola all faded from contention, the names that remained were a cause concern for a lot of fans, with many publicly voicing their worries to the club and John W Henry on Twitter. Aside from the understandable desire of many fans for Rafa Benitez to at least be involved in the process to some extent, one of the main concerns was that there wasn't a plan in place following Kenny's unfortunate departure. Though with the developments of the last few days in mind, I get the feeling that a lot of us, myself included, were quick to jump to that conclusion. 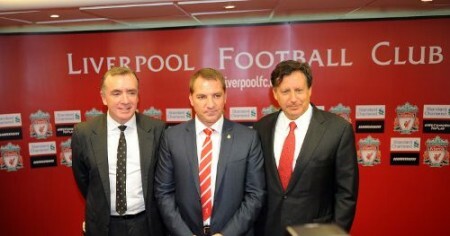 As Dalglish left on the Wednesday, the talk of Rodgers and Martinez began in earnest. Dave Whelan did his very best Harry Redknapp impression and set up shop in front of the Sky Sports reporters so as to keep the world informed about all things Roberto Martinez. Meanwhile, Brendan Rodgers distanced himself from speculation instantly, worrying that he would be making the numbers up as opposed to being a genuine candidate. The initial concern from fans was that this process was taking much longer than they would have liked. But if what Tom Werner and Steven Gerrard have both stated in interviews since Rodgers' appointment is true, surely a public rejection from your first choice for manager is going to, at the very least, add a few days to the process? 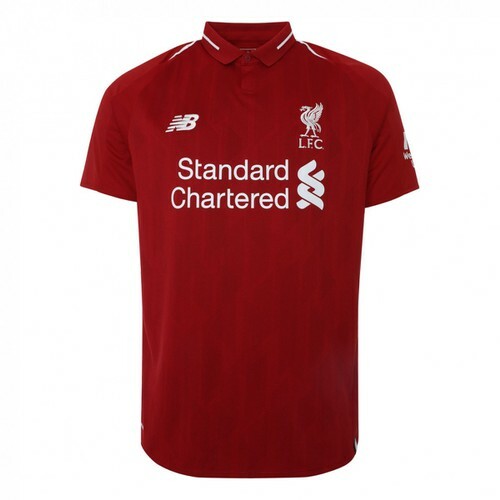 Whether you agree with the appointment of Brendan Rodgers or not, one of FSG's talked about themes has been that of new and innovative thinking. They have displayed this approach at the Boston Red Sox and this decision has echoed a number of appointments - both sporting and structural - across all of their teams. After taking the much needed step back from the 'household name' way of thinking, I personally feel that there is as much chance a young manager with fresh ideas will be as successful as a big name coming in with years of experience under their belt. You only have to look at some of the names Chelsea have discarded over the past few years to put a bit of meat on that idea. On both Rodgers and Martinez, the gut reaction is to dismiss their lack of achievements and question the owners and their decision making. I openly admit that I did this myself, harshly stating that Martinez had done nothing but consistently keep Wigan in the Premier League. Yes, Wigan's start to the season was disastrous, but the ability to take a step back and look at your approach and then make the decision to right your own wrongs is something that should not be disregarded. Success in football has to be viewed sensibly and with relevance to the team you are scrutinising. Neither Wigan or Swansea were going to win the Premier League or gain entry to the Champion's League, but both managers had their teams playing football that was, logically speaking, above the stations of the squads at their disposal. Having read up extensively on Rodgers since the solid links began to emerge, it is clear that he holds an ingrained belief in a brand of football that I would be proud to associate our football club with. The tactical nous on the ball coupled with the high pressure off it is something that all Liverpool fans would love to see us employ. All of his interviews, pre and post-appointment, seem to suggest that he has a love for the game, and that it is something he likes his players to share. Whether his footballing philosophy translates quickly from what he had his players doing at Swansea to our current crop of players, I genuinely believe that this man will fight our corner while he implements it. In stark contrast to the experience felt when Roy Hodgson was appointed by a group of non-football men, FSG seem to have a set philosophy in mind. And Rodgers seem to be a man who already understands what it is to manage Liverpool Football Club. This man is certainly no Roy Hodgson. A friend put it perfectly on Twitter in that the difference between Roy Hodgson and Brendan Rodgers is that Hodgson believed being given the Liverpool job was his reward for making it. He had nothing to prove because this was his pinnacle; the feather in his cap. On the other hand, Rodgers believes that it is an honour to be offered the job - and that he is going to do everything in his power to make us great again. On a similar note, I personally think that FSG are incomparable to Hicks & Gillett. With their parasitic tendencies and their awful decisions on just about every front, Hicks & Gillett are the perfect example of how to not run a football club. For me, on the other hand, FSG have done more than enough to get the benefit of the doubt from some of our fans. Whether you agree with them or not there is no denying that they have sat back, took stock and made a number of important decisions. These decisions haven't been made overnight. You could also argue that in Rodgers and his philosophy they have made an appointment with at least the next 5 years in mind. I get the feeling that the first impressions of Rodgers have already converted some fans into fully fledged believers. I feel this approach will pick up many more disciples along the way. However, if his footballing philosophy clicks the way I would imagine he wants it to, I am certain that eventually we will all preaching from the gospel according to Brendan Rodgers. I really don’t get any of this. All of a sudden Brendan Rodgers is the best thing since sliced bread and we should give him years to build a team? Were Roy Hodgson and Kenny given years to build teams? Don’t get me wrong, I’ve nothing against Brendan Rodgers and I am fully supportive of him but I think some of us need to reign our optimism in a little bit otherwise we might be disappointed come May. The average amount of points required to achieve a CL qualification in 4th place is 68. This is equal to 1.8 pts per game. Firstly has Brendan Rodgers ever achieved this feat in the top flight before? Not with Swansea becuase they finished lower than we did. Secondly, Liverpool as a club have only achieved this in 10 of the 20 PL seasons. I don’t say all this to belittle Rodgers achievements at Swansea, He did very well with meagre resources, but is it realistic to believe that he will gain those 68 pts in his first full season at his first marquee club? A marquee club with only a 50% success rate of achieving that pts total over the last 20 years? With all due respect, Swansea’s players can take to the field every week without the pressure of expectation. Liverpool players are expected to win every game, particularly at Anfield. I hope Brendan succeeds but surely if he doesn’t get that magic 1.8 pts per game return then he’ll be gone? Despite ‘what we want’ and ‘what we expect’ I think it’ll be very difficult for Liverpool to have a better season than they did last year. If we do much better in the league but miss out on CL qualification and don’t win anything will that be progress? Personally I don’t think so. If the CL is your aim but you don’t achieve what difference does it make where you finsih in the table? I was one of thse who wanted a big name manager but realistically speaking knew that we’d never attract a Jose Mourinho. It’s imperative for Brendon to get of to a good start with a few wins but even if not the fans will need to show patience and trust in him. The flip side of the coin is that being British he’ll easily be able to get his idea’s across compared to many foreign managers and coaches like Rafa Benitez who struggle in the English language. I sense that we’ll hopefully return to the old pass and move culture of the 1970’s/80’s which is no bad thing. Being a Liverpool fan only adds to the fascination in seeing Brendon’s Liverpool side in action. Yes Rafa ‘struggled’ didn’t he? Highest ever points total for LFC in the premier league era is really struggling. they have shattered our bond, but…whilst this club will never be the same, our REd SPIRIT never dies & will haunt them all in the years to come… WE will never walk alone..
so think again…! lets have some honest articles instead of “feel good propaganda” to impress the yankers! ..
he took it with typical good grace, but Dalglish is too kind to “them”..the day that “they” broke (OUR True Legend) Kenny’s contract, without a fraction of his dignity, then stand up & 2-faced “thanks” to KD whilst they market another new shirt & the 3rd manager within 2 years..
Can you please start living in a real world? We need someone with a fresh approach and I honestly believe that Rodgers will being that to the team. We have a lot of young players who need inspiration and they need molding through hard work. I admire his belief in attacking football and I am willing to give him a chance. While a big name with experience may have been better; it was not to be and in any event a big name does not always bring success. A good work ethic is more likely to succeed and I think that Rodgers will also get some of the younger players playing well and with confidence. The older players may have a harder time, well tough, they know where the door is. Hope he does well! Born again believer! Rodgers style of football will excite the fans and make Liverpool even more popular around the world .. I think he’s not going to be able to have Liverpool playing his way in his first few months especially with the Euro championship coming up the players will be off resting for a while after it so he won’t have much time to train them and then the season will be nearly starting so he’ll need time and support even if things start off bed. If Rodgers can get Henderson and Downing and Adams playing well he’ll be a freaking GENIUS!! Okay “Adam” happy now? !